What is a ballast? In layman's terms, it's simply a device within a fluorescent or HID light fixture that starts the lamp and then puts it at a regulated voltage for proper operation. When it starts the light bulb arc, it is configured to start at a very high momentary voltage, usually something that is milliseconds in time. This is enough to start that are extreme across the tube for either fluorescent or HID light bulbs. These are more complicated than one might think, they do a lot of different things in order to make a light system work properly. So it's a necessary part of any of this kind of lighting systems. They aren't like transformers, those simply step the voltage up or down and have no momentary high-voltage at all. It's a completely different thing. For today's LED light sources, a ballast is not required, but there is a driver within them to supply proper voltage for the lamp. But that's not a ballast. Most of the electronics of that type of system are within the lamp or within the light fixture itself and have a completely different operation. A ballast is something that is a consumable item within any light fixture. They do have a life and they do require replacement at some point in the future, they wear out! It's a simple operation to replace a ballast and every ballast has a label on it to identify exactly what lamps it operates in the voltage and everything you would need to know to get it replaced. You will often see it within what's called the ballast channel inside a fluorescent light fixture. Simply remove that and you will see the ballast and be able to service it accordingly. If you have an HID type of light fixture, then usually it's mounted somewhere in a box or behind the actual light bulbs somewhere. You can't miss it, it's very big and heavy and that's the difference between an HID and a fluorescent ballast. There are two main types of ballasts, one would be electronic, the other would be magnetic. 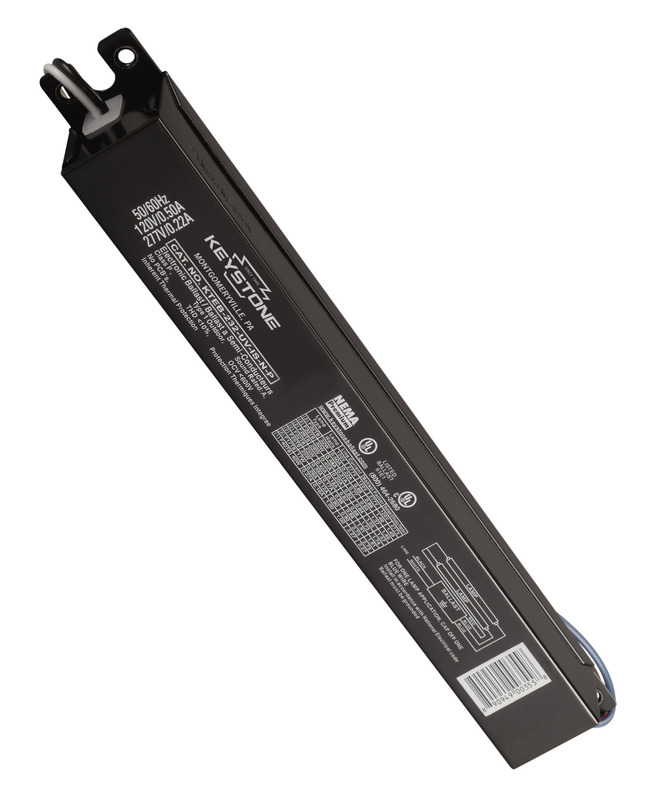 The electronic ballast is a solid-state ballast that has no windings inside. It is therefore much lighter than the magnetic. The magnetic ballast is an older style of ballast that has copper windings and electronics making it much heavier. The electronic ballast is much more energy-efficient and it's what most people are using today. HID ballasts are core and coil ballasts, they are very heavy-duty and you will see the characteristic windings in the core. If you have any questions about replacing a ballast or which one you need to use, you can always give us a call or email us for the answers. We know all about ballasts and which ones to use for your situation. Here's one of the most common types that we carry, a T8 2-lamp electronic ballast that we carry and a listing of many types that we have online. - Universal voltage 120 or 277 volt. - Operates 2 - F32T8 light bulbs. - fewer than 10% total harmonic distortion.